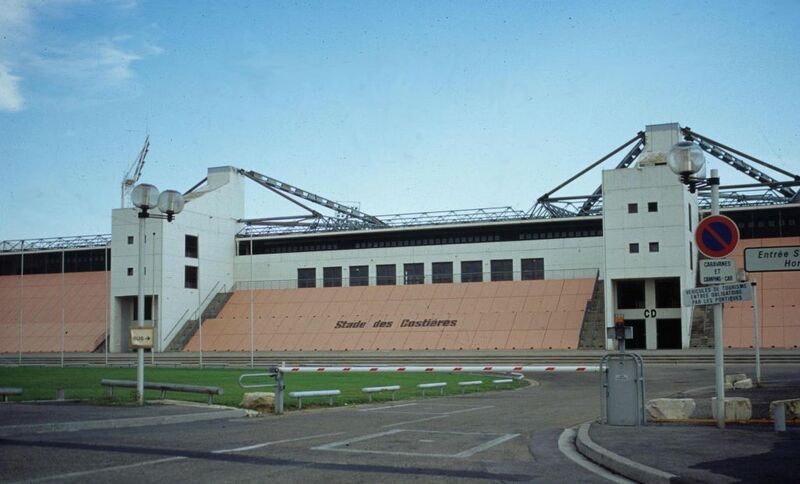 This international standard stadium was designed by the architects Vittorio Gregotti and Marc Chausse. With capacity for 20,000 spectators, including 12,000 under cover, it houses subsidiary sports facilities in the four corners. In 1989, the architects chose to build an English type stadium to be used for football and rugby. The spectators are very close to pitch. The Parnasse, a sports centre not far from the stadium and designed by the same architects, completes the sports complex.